Over Valentine’s week, Heidi and I took nearly a week-long road trip across Uganda to visit girls in our program in a partnership between Cornerstone and Global Grassroots. Eleven of our girls who are in their gap year between secondary school and university are part of a program with Global Grassroots to train them in “conscious social change.” In January, the girls attended a 3-week training where they each identified issues that concern them in their communities and developed ideas on how to confront these issues. They have now been back in their villages for a few weeks to study their issue in more depth, so we visited each of them, went over their proposals, and gave them a small amount of money to implement their venture ideas. It was an incredible joy to see where each girl comes from and I swelled with pride at the difference they are already making in their villages. The power of seeing our girls gain the confidence to lead in their communities and work with others to find local solutions to local problems nearly brought me to tears with each visit. 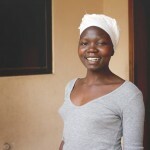 Comfort is working on the issue of school dropouts among girls. 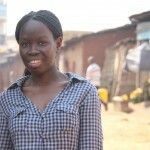 Harriet wants to reduce the amount of girls who drop out of primary school. 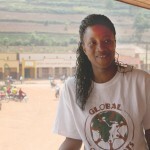 Gloria is concerned about high unemployment among women and wants to train women in entrepreneurship. Winnie is concerned about the high level of early pregnancies among girls. 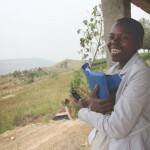 Josephine is sensitizing her community on the causes and effects of school dropouts among girls. 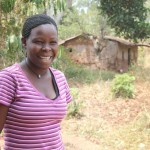 Rose wants to prevent early marriages and school dropouts for girls in her village. 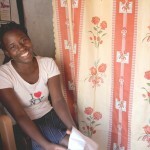 Polline is working with a group of mothers and daughters to prevent school dropouts in secondary school. 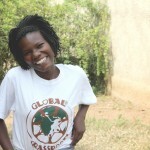 Kellen wants to stop domestic violence in her community. 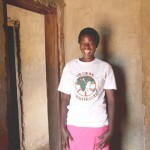 Brenda is worried about the high level of school dropouts and wants to start an income generating activity for families to keep their children in school. This entry was posted on Thursday, May 8, 2014 at 3:58 pm	and is filed under Uncategorized. You can follow any responses to this entry through the RSS 2.0 feed.